Jesus promised his disciples that the Spirit would come to them, lead them and guide them in continuing to carry out his mission to the world. 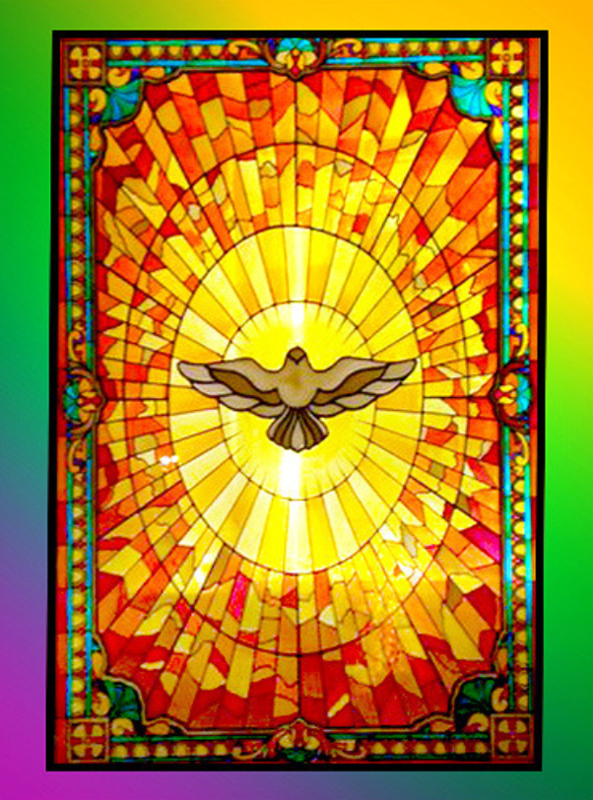 The Holy Spirit inspires each one of us to live good lives, to be kind and generous, to act with justice and respect towards all people, and to love one another as Jesus loves us. St Paul urged the Christian communities of his time to live as Spirit-filled people and he said that others would follow his example if they saw the fruits of the Spirit in the way they lived their lives. St Paul described these fruits of the Spirit when he told the people that God’s Spirit makes us loving, kind, generous, gentle, peaceful, kind, forgiving and self-controlled. So when we act with kindness, love, gentleness, patience and forgiveness, we are living as Spirit – filled people. Saint Paul lists nine of these fruits in his Letter to the Church in Galatians can you find them in Galatians 5:22-23? Now see if you can find the one referred to as the greatest fruit of the Holy Spirit. 1 Corinthians 13:1-8.